If you’re searching for a dog that has a strong will but is loyal and protective of your family, look no further than the Rottweiler Pitbull mix. Also known as the pitweiler, this dog embodies power with a solid and muscled build, broad head, and strong hindquarters with high muscle definition. 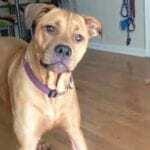 Anyone who wants to learn everything they need to know about this dog is in the right place because we’ve put together a comprehensive guide on everything that you should know about this crossbreed. This guide includes temperament, origins, expected lifespan, health issues, height and weight, and much more. This is a large breed dog that comes from breeding a Rottweiler with a Pitbull, and both breeds have histories dating back centuries. Breeders mix these two dogs because they want a powerful dog that embodies the best of both breeds like a strong will, solid stature, protective, and loyal. The Rottweiler was originally used in ancient Rome as a cattle dog, and cattle was an important food source for the Romans, so this dog was critical. Their solid builds and natural protective instincts made them perfect for herding and guarding cattle, and their larger size was intimidating. The American Pitbull Terrier is a smaller and stockier dog that was originally intended to be a more agile Bulldog that was suited for fighting rings. Also called the American Staffordshire Terrier, the Pitbull has a long and colorful history that still, unfortunately, colors people’s perception of the dog today. Both of the parent breeds have shorter coats, but the Rottweiler has a much thicker coat than the Pitbull, and your puppy’s coat will depend on which parent it takes after. Luckily, both coats only require a quick brush or wipe down once a week to keep them free of debris. This mix comes in several different colors and a few different patterns including black, brown, speckled, chocolate, merle, blue, golden, white, and brindle. They can be solid colors, or you may notice that your dog has the more familiar pattern of a traditional Rottweiler with a black body and brown on the legs, chest, and muzzle. The Pitbull may be a solid and stocky dog, but the Rottweiler is a large and solid breed. This means that you’ll most likely end up with a larger size dog with solid muscle definition with a deep chest, thick neck, broad head, and strong hindquarters. This breed usually stands between 18 to 25 inches high at the shoulder, and their weight has a larger range starting at 40 pounds and going up to 100 pounds. If you have a female mix, you can expect them to be on the smaller end of the spectrum, and it’s unusual to find a dog that looks like it can’t carry it’s weight around because they’re proportionate. Your dog should be on the leaner side with a trim waist and powerful front and hindquarters. Their muzzle and ear shape can vary depending on the dog, but you should plan for a medium to large dog when they’re fully grown that is very athletic, and that needs daily exercise. Both of the breeds that go into making one of these designer dogs have a reputation for being slightly more aggressive and strong-willed, but you can temper these tendencies with consistent training that starts as soon as you bring your puppy home. However, they’re also guard dogs who are eager to please, and this means that they can have affectionate natures toward their family. These dogs also have a reputation for being very intelligent but slightly aloof around strangers due to the Rottweiler’s traits. To get a better idea, you want to get a list of both breed’s most common traits and compare them to see which ones seem dominant because these are the traits your puppy will most likely have. As we mentioned earlier, both breeds that go into this dog have strong wills and like to be the dominant force in a relationship, whether this is with other dogs or between their owners and themselves. However, they’re very intelligent, and they want to make their owners happy, so this means that they tend to be easier than other breeds to train. These dogs do have a prey drive, and you want to avoid having them go after smaller animals by starting to socialize them very early and often. You should have your puppy meet new people and supervise play time with dogs of all sizes and ages within the first few weeks of bringing your puppy home. Encourage your dog to play nice with other dogs and greet people without aggression by using positive reinforcement like praise or treats. It’s also a good idea to take your puppy to areas where you spend a lot of time or to your friend’s homes who have dogs to expose them to different situations so you can monitor how they react and correct it accordingly. If you don’t have experience with this type of dog and you’re not sure how to socialize or train them, you may want to enlist a certified dog trainer. Not only can they help you train and socialize your puppy, but they can also help show you how to properly train your dog and correct them in a safe and effective manner. As we mentioned, this mix gives you intelligent dogs that require daily exercise to help wear them out and ward off destructive behaviors. You want to give them between 45 minutes to an hour of exercise each day to help wear them out, and this means either giving them an area to run or taking them on a brisk walk. For mental stimulation, you could spend time each day training your dog or showing them new tricks. 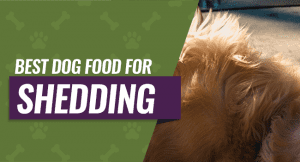 Since they’re eager to learn and please, this could be an ongoing project that will help to keep your dog entertained, and it’s also a great chance for you to bond with them. Before you buy one of these dogs, you want to make sure that you can afford not only the dog but all of the miscellaneous expenses that come in the following years. The ASPCA estimates the cost for owning a dog for the first year is over $1,000 not including the price of the dog. 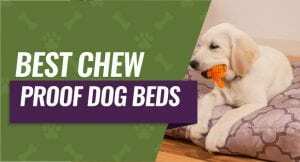 You’ll typically spend between $150 to $800 for the dog, and this cost can include things like worming medications, the first round of shots, and a clean bill of health. Of course, the costs go up significantly if your puppy runs into health problems that require veterinary care. Hypoadrenocorticism is commonly referred to as Addison’s Disease, and this health problem is very common in larger breed dogs as well as both Pitbulls and Rottweilers. You find it in younger female dogs more than males, and it’s marked by a lower than normal level of hormone production. In turn, your dog won’t be able to handle stressful situations well because their glands aren’t producing adequate hormone levels. Treatment of Addison’s Disease includes minimizing stressful situations and giving your dog a hormone shot once every 25 days to keep their levels adequate. Heart problems are another issue that plague this breed, and this is particularly true for a condition called Aortic Stenosis. If your dog has this condition, your veterinarian may notice that they have a heart murmur due to a narrowing of the aorta that brings blood away from the heart. This condition is typically present in very young dogs, and it tends to get worse when they reach one year old. 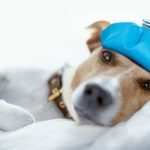 Unfortunately, management of the symptoms with medications are restrictions on activity are common treatments, and the only complete fix would be open heart surgery that bypasses your dog’s lungs. One serious health problem for this breed is called gastric dilatation, volvulus, or bloat. Although the cause isn’t totally determined, this serious condition occurs when your dog’s stomach twists on itself and fills with gas, or it fills with gas first and then it twists on itself. If this happens, your dog needs emergency surgery to fix it, and they can die if they don’t get to a vet very quickly. The distended stomach can cause breathing problems because it pushes on your dog’s diaphragm, and it also cuts off blood flow to the heart, and it can cause the stomach to rupture. Your dog has a clear lens in their eye that helps them to focus on what they’re looking at. When this lens starts to cloud over or get a milky film, it means that they’re developing a very common medical condition known as cataracts. Fortunately, cataracts isn’t a painful medical condition, and it’s treatable by eye surgery because the surgery will remove part of the film and allow your dog to see again. You can manage it with drops, but the cataracts will eventually cause your dog’s vision to go. Both Pitbulls and Rottweilers are prone to developing skin and food allergies, especially to chicken and chicken meal. These allergies can manifest as dry skin, flaky skin, itching, upset stomach, bloating, gas, and vomiting that gets worse the longer your dog is exposed to whatever they’re allergic to. Your veterinarian can help you pinpoint what your dog is allergic to, and switching to a diet without the ingredients that they’re allergic to can help to alleviate their symptoms. 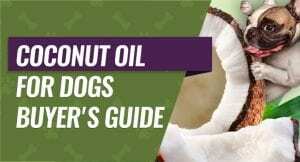 There are also allergy pills and shots that your veterinarian can prescribe to help your dog. Again, larger and heavier dogs are prone to developing problems with their hips and elbows, and one common condition is called hip and elbow dysplasia. If your dog has this problem, the ball and socket joints don’t glide smoothly together, and they grind together painfully when your dog tries to walk, run, or get up. Keeping your dog at a healthy weight and routine exercise are two of the best ways to avoid this medical condition and prevent it from happening in the first place. However, surgery is also another option to help shave off small sections of the bones to help them glide together easier, and pain medications can also help manage any discomfort. Your dog could develop von Willebrand’s Disease at any age, and you can’t prevent it from happening because this is an inherited blood clotting disease where your dog’s blood doesn’t clot like it’s supposed to. When this happens, your dog can bleed excessively from even the smallest cut or laceration. Only your veterinarian can diagnose this problem, and there are three stages with Stage One being the mildest, Stage Two being moderate, and Stage Three being the most severe. There is no cure for this disease, and you can only manage it by controlling how often your dog gets lacerations and by correcting any underlying causes that could make it worse. Don’t leave your dog alone for hours at a time. This breed is family-oriented. Be prepared to dedicate an hour a day to exercise and mental stimulation. Start training your dog as soon as you bring them home to establish a healthy routine. This dog has protective tendencies on both sides, and they make good guard dogs. You may find that your dog is more aloof, especially around people they don’t know. Your dog may have a double coat, and a double coat requires more grooming in the summer months. Feed your dog multiple small meals each day instead of one or two large ones to ward off bloat. Be aware that females don’t usually get along with other female dogs. The Rottweiler Pitbull mix is an intelligent and obedient dog that has a strong will and a dominant personality. As long as you train them early, socialize them properly, and stay consistent, you have a very good chance of ending up with an affectionate, loyal, and loving family dog.